Looking for dog names by personality? Finding the right name for your new dog can be quite a challenge. Maybe you have been searching for a long time already or maybe you just started. Either way, a little help is always good! 123Tinki.com has a database of over 40.000 dog names which will definitely contain a beautiful name for your dog. Dog names by personality is of course a very good choice. A tip we always give to people that are searching for the right name is that you should choose something that suits your dog’s character. You can find many dog names by personality in our database. Our dog name generator can help you filter the right names for you! It is very easy to use and also a tip we always give to people that are looking for the right name for their new dog! The generator is really an incredible tool to use. After filling in your details you get access to our database and in there you can find any name you like. On the side you will find a panel with filters that will help you select the themes and types you like. This way the generator know what you prefer and can show you all the names that suit your personal preferences. For example select ‘male’ and ‘Spanish’ and the generator shows you all the Spanish male dog names from our database! When eventual deciding on a name that you absolutely love and of course suits your dog, it is important to take some things in mind. You could for example consider if the name suits your dog’s gender. Maybe you do not mind and have chosen a unisex name or you found a male name you absolutely love even though your dog is female. That is completely fine. If you cannot decide yet, it might make it easier to divide the suitable names by gender. This way you can already narrow down your options. Besides thinking about your dog’s gender you could also consider your dog’s breed or type. Maybe your new puppy is a lovely chocolate brown color. Then it can be nice to search for dog names that have something to do with chocolate or the color brown. Of course it is fun to name a chocolate brown dog Blackie but it can help to just think about names that have something to do with your dog’s type. For example naming a small dog Mini or a big dog Hummer. There are also lots of dog names by personality that focus more on the breed. You might hear the name Beethoven and immediately think of a Saint Bernard. Some names for certain breeds are just meant to be. Other examples are Rex for a German Shepherd, Lassie for a Long Haired Collie, Marley for a Golden Retriever or Perdita for a Dalmatian. One very important thing to consider is of course the sound of the name. You are the one that will call the name for the rest of your dog’s life and your dog will wear the name proudly. It is wise to practice your optional names out loud first. Maybe you discover that one name is quite hard to pronounce clearly, then it is better to choose a different one. Calling out the name helps you consider if it is clear or not. Keep in mind that your dog has to be able to understand you at all times. 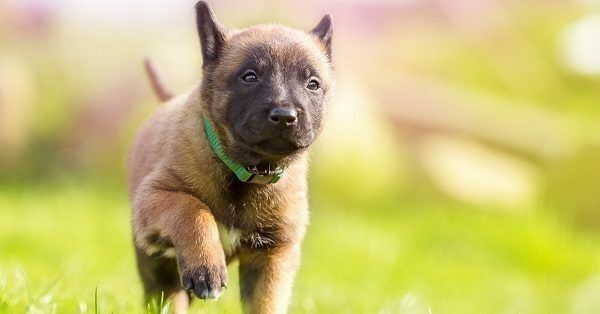 If your dog is about to run off onto a busy street then it is easier for you to call out a short name rather than a long one. Calling out a short name is often easier when it comes to pronunciation than a long one. Maybe you are able to call a name like Theodorus easily but within the first weeks already, you will have shortened it a few times. Calling your dog Theo and a few minutes later saying Theodorus will be very confusing, especially for a young puppy. Keep this in mind and make sure you choose a name that you will be able to call at all times. When it comes to the sound of the name it is also important to check whether it sounds similar to other names or words you use a lot. Maybe you already own another dog that is called Molly, it would be nice to call the new dog Holly so they match but that will cause confusion. Also think about words you use a lot. For example putting ‘like’ in almost every sentence and then calling your dog Mike might not be very handy. Think this through and most important of all: take your time. 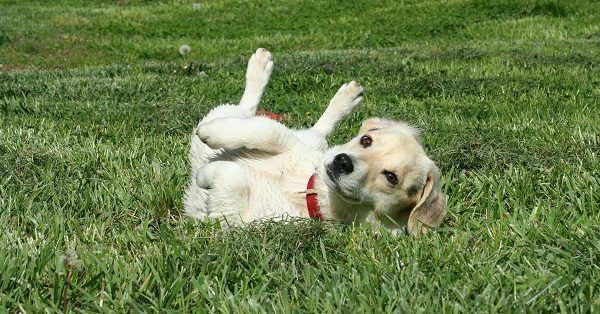 Throughout our website you will find many articles on dog names, all of them trying to give you the best tips possible. Here is a list of a few of the best tips when it comes to finding the perfect dog name. Maintain a list. Every name you see and like, write it down. Later you can categorize or select, right now you just want to remember each beautiful one you see. Narrow down your options by using our dog name generator and selecting the filters you like. Consider the length of the name. Do not make it too hard on yourself, keep it simple. Every command we try to teach our dogs are short and clear terms, stick to a short and clear name as well. Get creative! Especially if your feeling a bit stuck, mix up a few syllables or think of something completely new yourself. That name will definitely be unique! Take your time. We cannot tell you enough; you really do not have to rush this decision. Think it through and make sure you absolutely love the name. Dogs have been around for a long time now and have also been a man’s best friend for a really long time. Nowadays a dog is often considered as part of the family and giving that new family member a name of course helps with the bonding process. Throughout the years there have been quite a few famous dogs. Legends about heroic dogs are often a good inspiration for dog names. A few very beautiful and interesting legends will be named below. Maybe you own the same type of breed as the legendary dog, then choosing that name would be perfect! Sir Isaac Newton’s favorite dog was Diamond. The small pet once knocked over a candle setting papers on fire. Almost destroying 20 years worth of research! The Russian dog Laika was the first dog to orbit the earth. Sadly she did not make it back, she died because of stress and heat. Laika was a female stray dog and looks a lot like a Jack Russell. A very famous dog is the Japanese dog Hachiko. You will probably know him from the movie but this is actually based on a true story. After the death of his owner, Hachiko waited for 9 years at the Shibuya train station in Tokyo. Hachiko was an Akita. What does it mean to a dog? We take it very seriously, naming our dogs. But what does it really mean to them? Of course your dog will know his name, if you teach him well. Your dog will not literally know that his name belongs to him. Your dog will simply understand that when you say that word, that name, you want his attention. He will learn that after he gives you attention, another command will soon follow. This makes it important to pick a name that is clear, so your dog can always understand you. Calling your dog’s name when you are angry is never a good idea, it will not have the right effect. Make sure your dog can feel all the love through your voice. Make sure your dog likes you, then he will literally do anything you ask. Ever. As we said, the name has a different meaning to your dog than it has for you. That does not mean you should not think about what you like. He is your dog and definitely deserves a name that you absolutely love. Your dog wants to fit in, you want your dog to fit in. Pick a name that suits your dog’s character, suits you, suits your family and sounds fun! Your dog will hopefully be with you for a very long time so make sure you will enjoy calling the name for the rest of his life. Once you choose, there is no turning back!